The Sochi Olympics picked it for its construction and now you can pick it for your own garage flooring! Tailored Living featuring PremierGarage's exclusive PremierOne® hybrid polymer floor coating system made by its manufacturing partner Sika, was one of many productsused in building the infrastructure for the 2014 Winter Olympics. 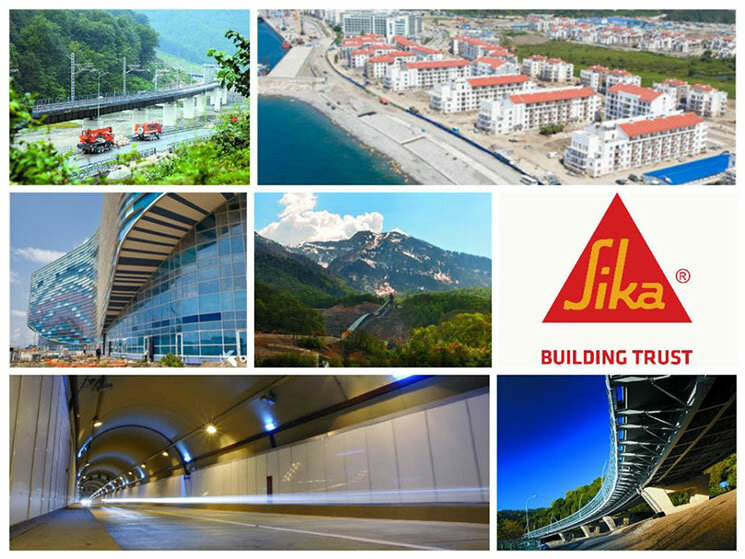 Sika supplied many of the products used to construct the stadiums, roads, train stations, bridges, tunnels and hotel complexes to make Sochi ready for this year's Winter Olympics. PremierOne floor coatings can be color-matched to Tailored Living's organization cabinetry to achieve a highly-stylized garage. They offer a continuous, non-porous surface that repels dirt and bacteria as well asstains from automotive fluids. The flooring cures twice as hard as other epoxy finishes and doesn't discolor over time. Tailored Living featuring PremierGarage technicians prepare each garage floor to the ideal surface condition to achieve a permanent chemical bond that will substantially outlive traditional floor coatings and is often twice as thick. The coating is also free of volatile organic compounds (VOC) making it safe for you and the environment. To turn your garage into a gold medal -worthy garage, schedule a free consultation with your local Tailored Living featuring PremierGarage consultant today!